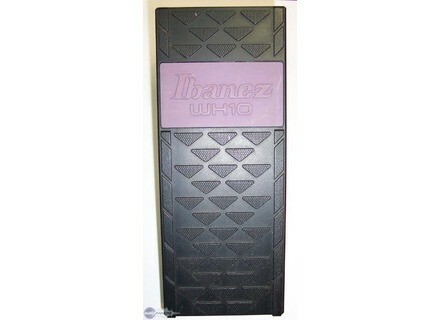 WH10 Wah Wah, Wah-Wah/Auto Wah/Filter for Guitar from Ibanez in the 10 series.
" Blah blah, for the fans ....."
It's a Wah Wah Ibanez produced in the 80's in Japan of a unique quality. Only small problem, it is not plastic solid trs. It has a small knob on the cot that can change the sound of the Wah and a choice guitar or bass. Operation is extremely simple. You support trs fort is the sound is. The small manual is not helpful trs. No problem. Edit: APRS one year of use, I lower the note because it is really fragile and sometimes the pice links to jump knob, which is trs Nerva. Then it's the slap! The sound is just beautiful! The small knobs allows him to change when a sound and frequencies. It's just one in 10 Wah. You can also use a scratching by setting low is vice versa, it makes sound great. Edit: Trs good wah, but super fragile, and an increase in gain when triggers, which may be Gnant.